Hello everybody and welcome back to my blog! Today we are going to continue our series on the Technician Class License Question Pool! Today we will be talking about Technician Frequencies. Let’s move on to the goodÂ stuff, shall we? T5C06Â What does the abbreviation â€œRFâ€ refer to? T3A07Â What type of wave carries radio signals between transmitting and receiving stations? T3B03Â What are the two components of a radio wave? T3B04 How fast does a radio wave travel through free space? The speed of a radio wave is constant; The distance traveled is what varies with frequency, so that knocks out (C) and (D). That leaves us with the speed of light and sound. If the question was asking about how fast the sound coming out of a speaker travels then it would be the speed of sound, however, because the question asked about a radio wave that changes things. Radio waves, as the two previous questions covered, are Electromagnetic waves, therefore the wave travels at the speed of light. T3B11Â What is the approximate velocity of a radio wave as it travels through free space? Since radio waves travel at the speed of light, 300,000,000 meters per second is the correct answer. T5A12Â What term describes the number of times per second that an alternating current reverses direction? T5C05Â What is the unit of frequency? The basic unit of frequency is the hertz, abbreviated Hz, notice the capital H.
T5B07Â If a frequency readout calibrated in megahertz shows a reading of 3.525 MHz, what would it show if it were calibrated in kilohertz? 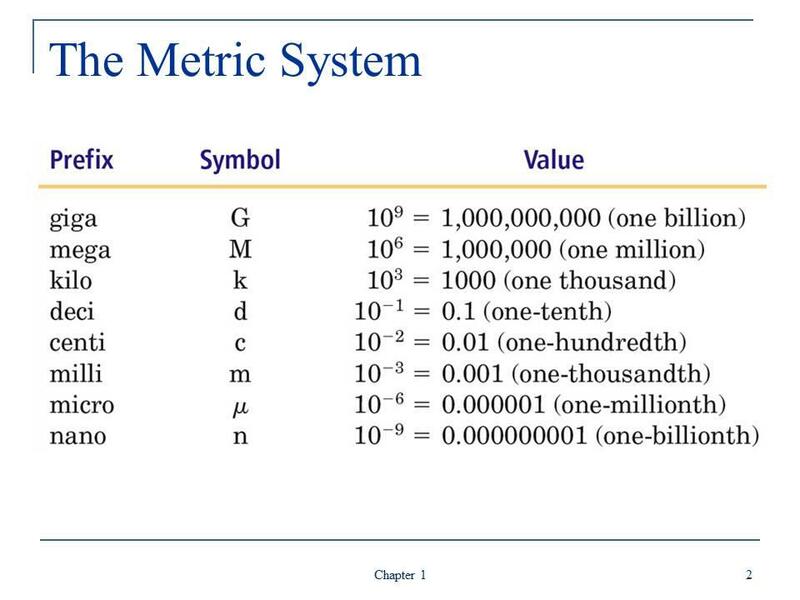 The one beauty of the metric system is how easy it is to convert from one thing to another. There is 1,000 kHz in a MHz. So all you have to do is move the decimal place to the right 3 times to get the kHz. T3B01Â What is the name for the distance a radio wave travels during one complete cycle? The key word in this question is distance. In all the possible answers the only one that is a synonym of distance is length. 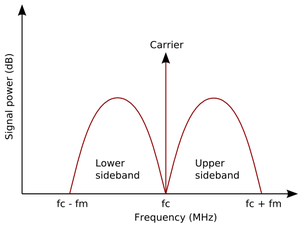 T3B07Â What property of radio waves is often used to identify the different frequency bands? T3B05Â How does the wavelength of a radio wave relate to its frequency? In a previous post on my blog we talked extensively about this, Frequencies and the Spectrum. The higher the frequency the shorter the distance of the waves and visa versa. T3B06 What is the formula for converting frequency to approximate wavelength in meters? If you remember two this for figuring this out, remember 300 and divided by whatever. T3B10 What frequency range is referred to as HF? If you remember what HF(High Frequency), VHF(Very-High Frequency)Â and UHF(Ultra-High Frequency)Â stands for then you can probably take a guess at this one and the next two questions. 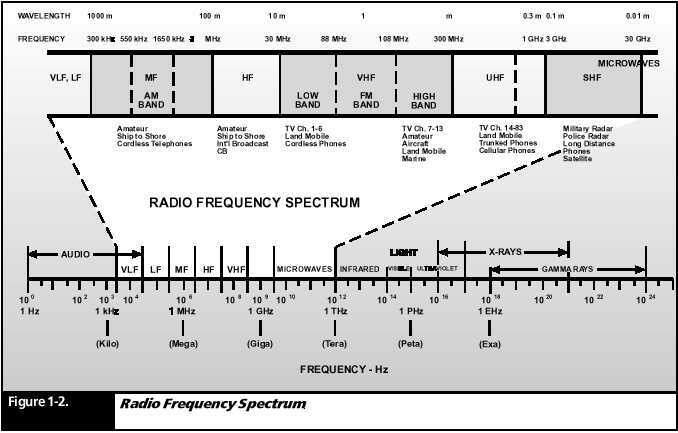 Also remember that all(I believe) of the frequencies as a ham we use are in the MHz ranges. So remember 3, 30, 300, and 3000 and you can probably figure these questions out. T3B08Â What are the frequency limits of the VHF spectrum? T3B09Â What are the frequency limits of the UHF spectrum? T1B03 [97.301(a)]Â Which frequency is within the 6 meter band? If you use the formula we talked about a few questions back, you can figure this out pretty easy. T1B04 [97.301(a)]Which amateur band are you using when your station is transmitting on 146.52 MHz? T1B10 [97.301(e), 97.305(c)]Â Which of the bands above 30 MHz that are available to Technician Class operators have mode-restricted sub-bands? T1B11 [97.301(a), 97.305 (a)(c)]Â What emission modes are permitted in the mode-restricted sub-bands at 50.0 to 50.1 MHz and 144.0 to 144.1 MHz? T1B07 [97.301(a)] What amateur band are you using if you are transmitting on 223.50 MHz? The closest option will be the 1.25 meter band. T1B13 [97.305(c)]Â Which emission may be used between 219 and 220 MHz? T1B05 [97.301(a)]Â Which 70 cm frequency is authorized to a Technician Class license holder operating in ITU Region 2? T2A02Â What is the national calling frequency for FM simplex operations in the 70 cm band? Since we are talking about the 70cm band, we know that it will not beÂ (A) or (B) because those frequencies are in the 2 meter band. (C) is in the CW is used for CW and SSB. So if you remember 446, you will always know where to supposedly be able to find a contact. In the real world though, you will have better luck looking for a local repeater to find someone to talk to. T1B06 [97.301(a)]Â Which 23 cm frequency is authorized to a Technician Class licensee? Here is another formula problem…Wavelength comes to 1304.3478…so closest is B.
T1A14 [97.303(d)]Â What must you do if you are operating on the 23 cm band and learn that you are interfering with a radiolocation station outside the United States? As amateur radio operators, the first and foremost thing that we need to remember to not do is to cause interference with anyone. Whether it be with a air traffic controller to our neighbor’s TV. Even though the neighbors TV side of things is more than likely something on their end rather than yours, they are your neighbors and I, personally, like to keep at least a civil relationship with my neighbors. You never know when you house might burn down or someone rob it and your neighbors be the ones that call 911. So go over and help fix the problem with your neighbor. So, to sum up, we don’t want to cause interference so stop immediately and we want to fix the problem so it doesn’t keep happening. T2A10Â What is a band plan, beyond the privileges established by the FCC? T1B08 [97.303]Â Which of the following is a result of the fact that the amateur service is secondary in some portions of the 70 cm band? There are some bands that amateur radio operators are allowed to use where we are not the primary users of those bands. One of those bands is the 70 cm band. On the 70 cm band we share it with the Air Force radio navigation service. That could and probably would be a very bad thing if you caused interference with that. T1B09 [97.101(a), 97.301(a-e)] Why should you not set your transmit frequency to be exactly at the edge of an amateur band or sub-band? This is what the your transmission basically looks like when you press the PTT. The frequency that you have your radio set to is the Carrier frequency but you can have a bandwidth of up to 15 kHz(I believe, depending on what mode you are talking on), 7.5kHz on either side. So if you set your radio to the bottom or top of the band, half of your transmission will be going out on frequencies that we, as hams, are not allowed to talk on. The other two options are correct to because your radio might be a little off from the manufacture or may “drift” from what you read out says. That wraps it up for this post. If you like what you are reading or you have a question,Â please leave me a comments down below. I would like to thank everybody for reading my posts. I would like to ask that you have patients with me in the coming weeks until I can get a new web host. My current host only allows for 250 mbs for 24 hour period, so if you see my page give you a 503 Service Temporarily Unavailable, please come back later and try again. I hope to have a new host soon! If you have not done so already, please subscribe to my blog either by email or by RSS feed, like me on Facebook and follow me on Twitter, Google+ and LinkedIn. Links to all of these can be found in the bar on the right. Next Sunday we will be talking about “Your First Radio” so please come back and check it out next Sunday. I will be having posts between now and then as well.